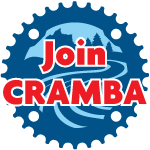 The July 2018 CRAMBA Board meeting was held at River Bends and began with a 10 mile ride on the singletrack trails. Present at the Meeting were Steve Vigneau, Mike Reeves, Kristen Barry, Brian McPherson, and Diana Skinner. The meeting was called to order by Steve Vigneau at 8:15 PM. Steve updated the progress at Stony Creek. Stating that Applied Trail Research will be in town from 8/22 thru 8/31 and we may be able to meet with the company for input. DTE has had a change in upper management and it appears they MAY not be donating money to the project, however, ITC could be interested in funding the signage for the project. On 10/27/18 Stony Creek is hosting “Howlin at the Moon” event a the park. It is an event focused on getting multiple user groups (Runners, Hikers and Mountain Bikers) together to enjoy the trails. In other news, please contact the board if you are available to help in anyway with Massive Fallout, food, registration, signage, etc. The meeting came to a close at 8:42 PM.